SUNDERLAND head into Sunday’s Wear-Tyne derby high on confidence despite ending their unbeaten start to the season in spectacular fashion last time out, according to Carlos Cuellar. The Black Cats lost 3-0 at Manchester City in the final game before the international break. 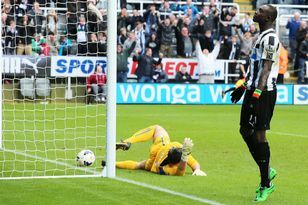 There is no shame in losing to the champions – something every Premier League team but the Wearsiders did last term – but it ended a number of positive sequences. For starters, Sunderland kicked off as one of only two teams in England not to have lost this season. Now only Sheffield United hold that distinction. The game was also the first the Black Cats trailed in, and the first league match Steven Fletcher had failed to score in since his £12m move from Wolverhampton Wanderers. However, Cuellar insists it has not dampened the mood at the Academy of Light. “The confidence in the team is very high,” said the Spaniard, who will be playing in his first North East derby. “When you lose everyone is unhappy but if you look at the table and you look at the games we have played before that you don’t have to be scared or lose any confidence because the team is doing very well. “You have to learn from your mistakes, but in Spain we say you cannot take your skin off just because you make a mistake or lose a game. “We were doing so well before and when you make a mistake you have to learn from it and make sure you don’t do it again. “Because we’re playing Newcastle next we don’t have to prepare too much. Cuellar sees the international break, which scattered Sunderland players across the globe representing their countries last night as a positive – especially for him. The former and Rangers and Aston Villa defender made a poor start to the Manchester City game, his reckless tackle on Carlos Tévez allowing Aleksandar Kolarov to open the scoring from a fifth-minute free-kick. It was obvious to those watching this was Cuellar’s first appearance after three games out with a hamstring injury, but he expects no such problems against Newcastle United on Sunday. He added: “This is a good opportunity for me, it’s a derby game. “The Manchester City match was the first one I played after my injury, but now I’ve had the opportunity of a bit more time to prepare and I feel great. I’ve my fitness levels back. “We were very disappointed at Manchester City, because after five minutes we were behind to a free-kick goal. Even so, we can take confidence from it, because we hung in there, we were good and we were strong. “We have already shown how good we are defensively and how good we are attacking. “We’ve had the opportunity to have a break to relax and prepare for the game on Sunday. “We’ve had the opportunity to watch the mistakes we made in the other game. Meanwhile, Tyneside-born Jack Colback is hoping Sunderland can end their run of plucky defeats to their local rivals. In the last two seasons, the Black Cats have been denied what in recent times would be a rare derby victory by 90th-minute goals. Midfielder Colback is hoping their luck can even itself out a little at the Stadium of Light on Sunday. He said: “We probably outclassed them in both the games last year but only came away with a point, which was massively disappointing. “From what I remember growing up, Sunderland have played well but not had the rub of the green. AT the home of one of 2012’s most improved teams, not to mention one with a historical hold over them, Sunderland at last started to find their feet this season.